Every space has unique qualities, be it your residence, retail outlet, office, conference room, or resto. When Kébecson visits you on-site, we can evaluate the parameters of every room, discuss your listening habits, and design your custom audio-visual environment. We can also work during the construction phase to make our work perfectly invisible. 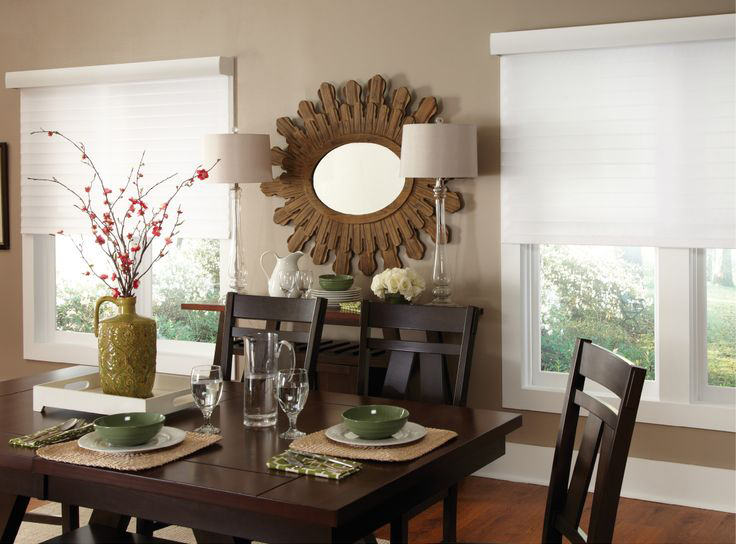 We can also help design your interior atmosphere by installing blinds, shutters, or drapes chosen from among 1500 environmentally safe and energy-efficient materials. Window dressings, combined with a thoughtful use of natural light, will not only create a perfectly illuminated environment, but also be energy efficient year-round. Whether you’re building or renovating, our team can work with you during the planning and construction phases to make the installation of your audio-visual or home-automation equipment perfectly invisible. 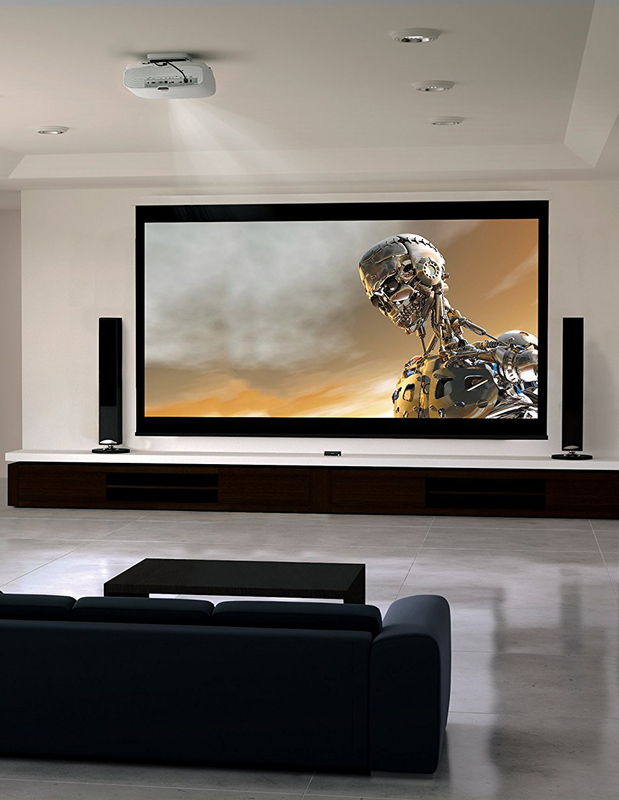 Whether for residential, commercial or your home cinema, our professionals will walk you through, whatever space you need to fill. 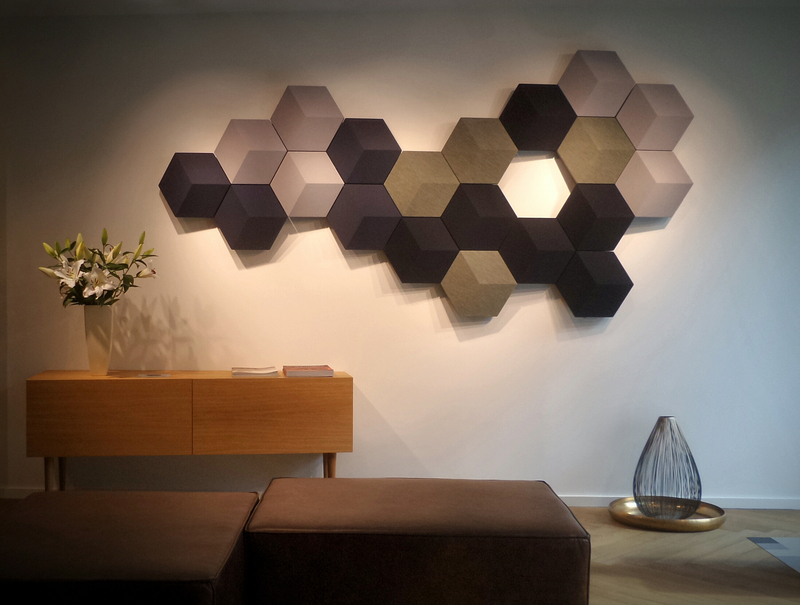 No matter where you do your listening, this Bang & Olufsen modular speaker system will harmonize perfectly with your interior décor. Each tile in the system has its own specific function, whether as a speaker, amplifier, or acoustic damper. Easy on the eyes, too. Pop some corn, pull the screen from the ceiling, turn on the projector and you’re at the movies! The Epson 5040 projector loves HDR images and 4K UHD content. With an Ultrablack 1,000,000:1 dynamic contrast ratio, colours are more nuanced, blacks deeper, and details more defined, regardless of how the scenes are lit. But who wants a top-quality image without sound to match? Couple your Epson projector with the Marantz AV8805 preamp and enjoy Dolby Atmos technology, plus 13.2-channel processing capacity for a totally immersive, hyper-realistic experience. If there's a rainstorm in the movie, you'll be taking cover under your coffee table. Superb home theatre at an affordable price. Light is the soul of any home. It modulates your personal space, creates mood, reveals textures, and can boost your spirits, too. Lutron products can endow any room with its own atmosphere, whatever the activity and whatever the time of day, and your judicious use of natural light can also save energy, year-round. We supply customized keyboards for blinds, shutters and curtains, made from over 1500 materials and fabrics selected for their environmental and energy efficiency.